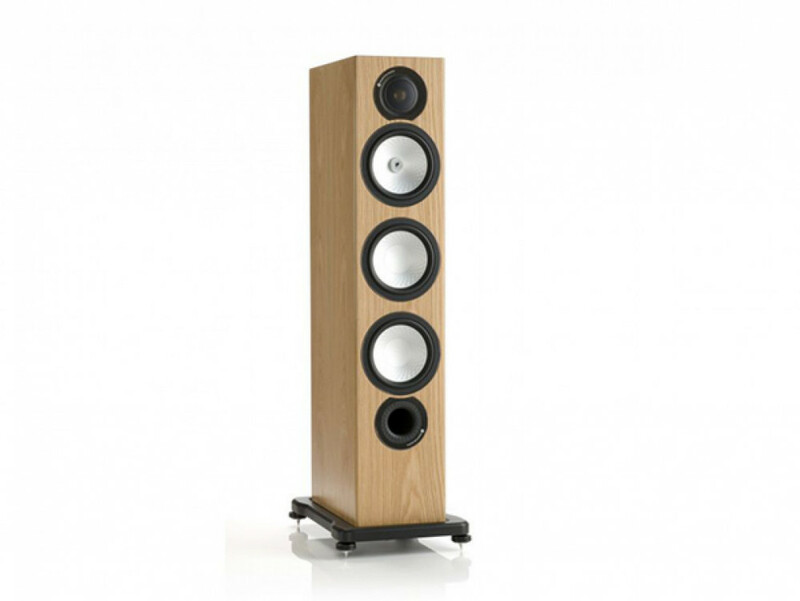 Ett par begagnade Monitor Audio Silver RX8 i mycket fint skick i "natural oak" finish. Its ultra-slim front profile conceals a deeper cabinet, which provides the volume needed for seismic levels of bass from dual 6” bass drivers. A single 6” bass/mid driver delivers naturally vibrant midrange sound, while a C-CAM® gold dome tweeter smoothly extends high frequency performance to a point way beyond the upper limit of the audible spectrum. Sheer control, open dynamics and wide bandwidth illuminate the sound of the RX8: a very big speaker disguised as a very slender one.